Dates: July 7, 2014 – August 8, 2014. Location: The University of Chicago. Application Deadline: March 4, 2014; notification date: March 31, 2014. Stipend Details: Each participant in the Seminar will receive a stipend of $3900. See the “How to Apply” tab above. 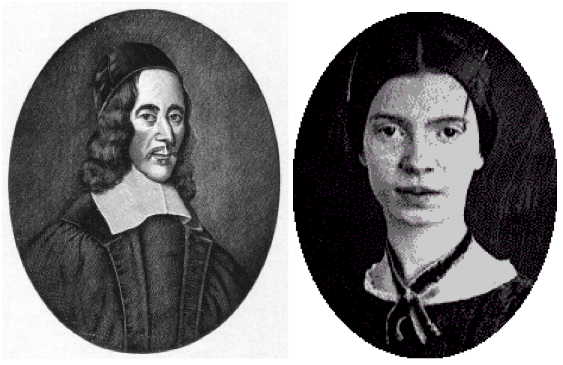 This Seminar will provide its participants with the opportunity to study in detail, in relation to each other, and in a collective setting, two of the greatest lyric poets in English (or any other) language: George Herbert (1593-1633) and Emily Dickinson (1831-1886). Studying each of these poets is unquestionably worthwhile; to study them together is a rare opportunity. Since Herbert influenced Dickinson, the question of influence is raised – across genders, oceans, and centuries. Since the poets share some major themes and concerns and are both skilled at representing complex and sometimes fleeting states of mind and heart, and it will be extremely interesting to compare their attitudes and strategies. They are both in dialogue with the Christian tradition, especially in its protestant mode, and to study these poets together will illuminate both what it means to write from within this tradition understood in a deep way (the case of Herbert) and what it means to write from a state of ambivalence about this tradition (the case of Dickinson). Many interesting issues arise from this, and the comparison should make them even more interesting. The Seminar will last for five weeks – it could not be done in less – and will consist of two weeks on Herbert followed by two weeks on Dickinson (with Herbert in mind). Each week will take up a theme (usually one that both poets share – pain, nature, the church, the limits of language, for instance) and will consider a set of poems that deal with that theme together with a sampling of relevant criticism. The final week will be devoted to hearing about what scholarly or poetic or pedagogical project the seminar has led each of the members to contemplate or develop. The Seminar will be an intense experience in itself; it cannot be otherwise. If it truly succeeds, it will create an ongoing as well as a summer-long community. I look forward to participating in both the immediate and the long-term life of it. We will all experience a difference where the meanings are (ED); we might even experience “something understood” (GH). For further information, see the items labeled “Detailed Description” and “Week by Week” under the “About the Seminar” tab above. Welcome to the Seminar website!